"Flexible Leadership connects the dots between leadership and management and provides the insight to appreciate both. With practical examples, applications, and behavioral tools, this is a road map for emerging and experienced leaders alike." Mary Eckenrod, vice president, World Wide Talent Management, Cisco Systems, Inc.
"Yukl and Lepsinger present the full range of direct and indirect behaviors required to be an effective leader in a practical manner that is easy to understand and apply." "One of the most sophisticated examinations of leadership to date. Moving beyond the all too prevalent simple recipes, Flexible Leadership paints a rich picture of the realities of leading. A wonderful resource for those who wish to become masterful leaders." "If you want to learn what leadership is really all about, this is the book for you. It is about three core leadership tasks that can be learned by ordinary managers and integrated in accordance with the nature of your business and situation. This book provides a new and very useful framework for understanding what leaders must do to create sustainable performance." "A leadership book that captures the complexity of a leader s role while providing specific guidelines and tools that help you realize that being an effective leader is not out of your reach." Peter Voss, chairman and chief executive officer, CDC IXIS Asset Management North America, L.P.
"I have always believed that a significant part of my job as a senior executive was to help develop effective leaders at all levels of my organization. 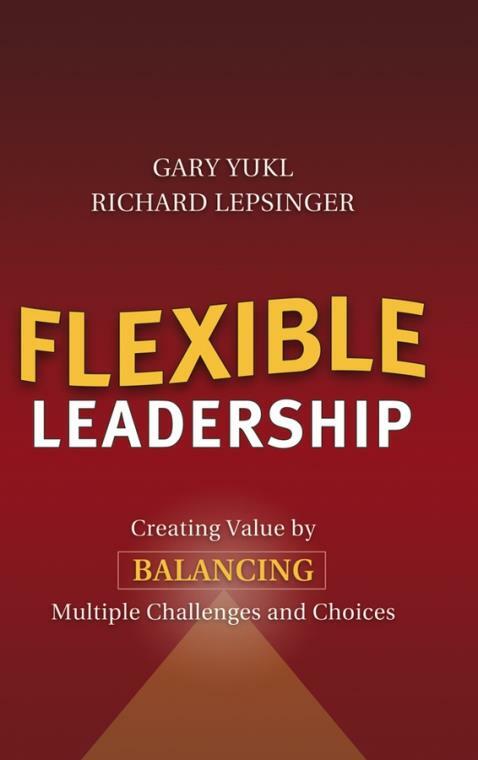 Flexible Leadership provides an indispensable guide that will help leaders respond effectively to the challenges and choices they face on the job." Bill Sheldon, president and chief executive officer, Eisai, Inc.